New Walmart OneWire Login at One.Walmartone.com. 1 New Walmart OneWire Login at One.Walmartone.com. 3 Walmart One Wire Login. 4 What can I use the new WalmartOne Wire (Onewire) Portal for? Walmart has moved their employee platform from www.Walmartone.com to OneWire at One.Walmart.com. This means that you should now access your PTO, paystubs, schedules, report an absence/tardy and read all company related updates from the new website at One.walmart.com. If you noticed that the Walmartone.com website is pointing to a new website, and you are not able to access the old Walmartone associate login page, then fret not. 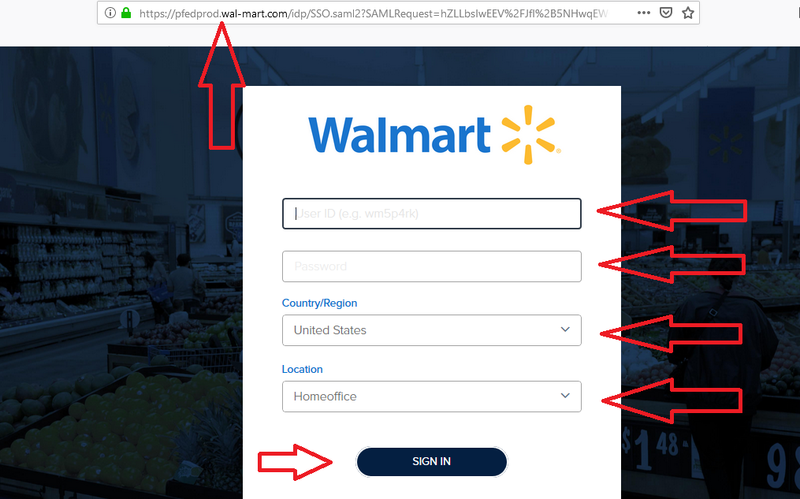 Simply follow the instructions below, to access WalmartOne, or Onewire Walmart as it is now called, through the new domain. How to log in to Walmart One Wire? Open One.walmart.com in your mobile phone browser or computer browser. Type One.Walmart.com, and NOT www.One.Walmart.com. Click on the small yellow Walmart Spark (logo) in the top left corner of the screen. The new Onewire Walmart login page will open. Enter your Walmart User IS, Password, Country, and your store location. Complete the 2-step-verification process. For this the system will send a code to your mobile phone. Submit the code and you can use the new associate portal. NOTE: You must enroll for 2-factor-verification at a Walmart store or facility before you can log in to Onewire Walmart. What can I use the new WalmartOne Wire (Onewire) Portal for? My Money – Access My Pay stub, My Discount, Saving and Retirement, and the Walmart Tax center. My Time – Check Paid Time off (PTO), Leave of Absence (LOA), and rreport a sick absence. My Health – Check the Walmart health plans, and more. My Career – Check educational programs and available jobs. Walmart W2 – Find your current year W-2 forms on Onewireand W-2 forms for former associates. There is no still no new app for the One Wire portal. The old WM1 app, for Android or IOS device users, will still work and will be up-dated to be compliant with the Onewire system. Open your WM1 app and click on the link to Onewire to up-date.